Deccan Chronicle – Mumbai: The #MeToo movement has rocked the Indian Bollywood and media fraternity, with Tanushree Dutta accusing Nana Patekar of sexual harassment on the film sets in 2008 and Vinta Nanda and Sandhya Mrudul accusing Alok Nath of the same. 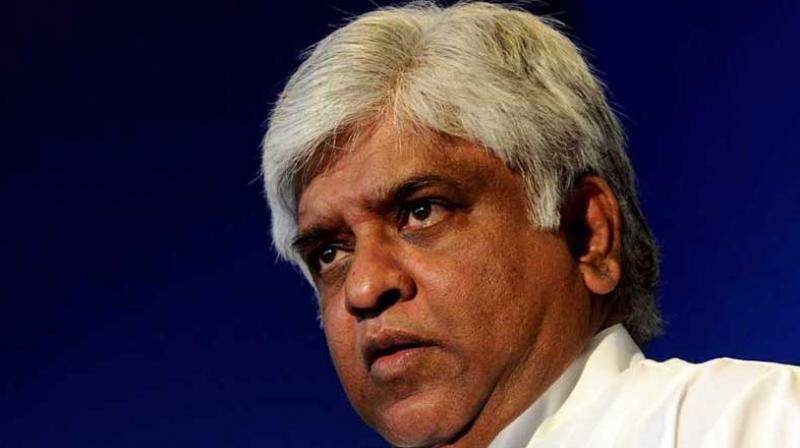 Now, the cricket fraternity has been hit by the storm after an Indian flight attendant took to Facebook on Wednesday, accused Arjuna Ranatunga, former Sri Lanka skipper and the current Sri Lankan Minister of Petroleum Resources Development, of sexually harassing her by the poolside of the hotel in India. “My star struck colleague spotted Indian and Sri Lankan cricketers in the elevator of Hotel Juhu Centaur, Mumbai and decided to meet them in their room for autographs. “She was smitten and wanted to go for a stroll by the poolside, this was at 1900 hrs, the walk to the pool a desolate, unlit pathway at the back of the hotel, I look back to find (her friend) and the Indian cricketer nowhere in sight,” she added. Threatening him of dire consequences, passport cancellation, reporting it to the cops etc., for he is a Sri Lankan misbehaving with an Indian. (Photo: Screengrab / Facebook)Ranatunga, who played 296 ODIs and 93 Tests, was the captain when Sri Lanka beat Australia in the final to win the 1996 World Cup.